In December 2009, I moved back to Toronto after two years away. So I was here in June as the security fences went up, the protesters assembled in Allan Gardens, and the caretakers of the planet’s twenty most “systemically important” economies hunkered down in their harbourfront fortress. Though I situate myself ideologically on the socialist left, my relationship with street-level protest is pretty capricious. I’d like to see the G20 reconsider its mandate, or at least be held accountable for its policies, yet I remain dubious that marching down the streets wagging Magic Markered placards is the best way to wield political influence. But with the big show in my backyard, I felt compelled to get involved, if only as a witness. In the end, I meandered around the fringes of protests, retreating every few hours to bars showing World Cup soccer; at home, I guiltily — and, as things degenerated, obsessively — followed the events through various mainstream and alternative media. While surveillance helicopters made regular, thrumming loops over my house, what was transpiring on the city’s streets (and in its parks and private residences) remained distant. On Saturday evening, as riot police stormed the crowd at Queen’s Park, a friend and I stood by, goggle-eyed and powerless, watching people be tackled and handcuffed and hauled into unmarked minivans. That dismayed, helpless voyeurism captured how I’ve been feeling lately about the world. As someone who enjoys a life of relative comfort and privilege, I benefit directly from many of the policies endorsed at summits like the G20. This inspires much guilt and a need to act, or at least atone, which in turn results in the sensation that I’m floundering against an immensity of problems, not to mention my own complicity in those problems. I believe in that old axiom “Think globally, act locally,” but my local actions feel limited and often hypocritical: cycling, for example, engenders environmental righteousness, but the mining practices that provide the aluminum for my bike have destroyed entire ecosystems — and human lives — in bauxite-rich places like Orissa, India. This narrative seems to me inescapably violent, and I feel sickened, as an avowed pacifist, at my helplessness not only to oppose it, but to avoid supporting it. And despite my peacenik leanings, I was a willing member of the huge audience that couldn’t look away from the violence-dominated G20 coverage. That weekend, Toronto’s CP24 news station claimed a record 4.6 million viewers, while CTV.ca increased its readership by 169 percent. Sites like therealG8G20.com quickly popped up as an antidote to the paucity of attention to the “real issues.” But even so, it was the flaming cruiser, not the peaceful rally for indigenous rights, that became emblematic of the weekend’s events. Months later, Toronto bears no evidence of smashed windows along Queen Street, nor any trace of the rubber bullets fired on protesters outside the makeshift detention centre on Eastern Avenue. 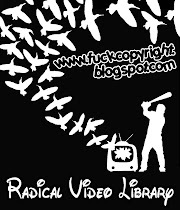 Still, although I want, rationally, to focus on the “real issues,” the images of violence are what linger for me. Toronto feels like a house in which someone has died under mysterious circumstances: something sinister happened here, and, despite the veneer of order, it still lurks — creepily, spectrally persistent. And while the powers that be and the people who oppose them seek justice in trials and public inquiries, I’m left feeling confused; all I have are questions. “I have yet to be convinced that these actions got us closer to where we want to be. Anonymous communiqués that build up the romance of arriving, attacking the cops and then taking off are all we have to understand the intent of this group” –David Eby. The following is a response to ‘Safe Assembly’ where David Eby, head of the BC Civil Liberties Association, Chris Shaw, author of Five Ring Circus, and Derrick O’Keefe, chairman of Stopwar.ca spoke against the use of the Black Bloc at the Heart Attack Demo as part of the No 2010 Olympics Convergence in Vancouver. Counter to Eby, Shaw and O’Keefe’s statements, the Heart Attack Demo, and the Black Bloc Action received enormous support from a much broader range of activist society Vancouver has seen is the past 10 years. This is due, to the monumental efforts of the No 2010 Convergence organizers to create a space and an atmosphere where people who are in support of direct action –whether they engage in it or not- to come together in a more integrated culture of resistance. This article is based on news reports, personal interviews and observation. My intention with this article is to dispel myths perpetuated during this panel and add to already existing responses without too much overlap. 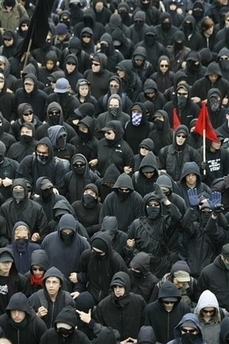 It is also a general response to all denouncers of the Black Bloc and direct action. This communique was given out by a portion of the Black Bloc during the march to the Bella Centre on Saturday at the protests against the U.N. COP-15. Shortly after releasing this communique, windows of the Danish stock exchange and Foreign Ministry were broken. When the police attempted arrests, the Black Bloc was physically prevented by some members of Climate Justice Action from joining the “System Change Not Climate Change” bloc. 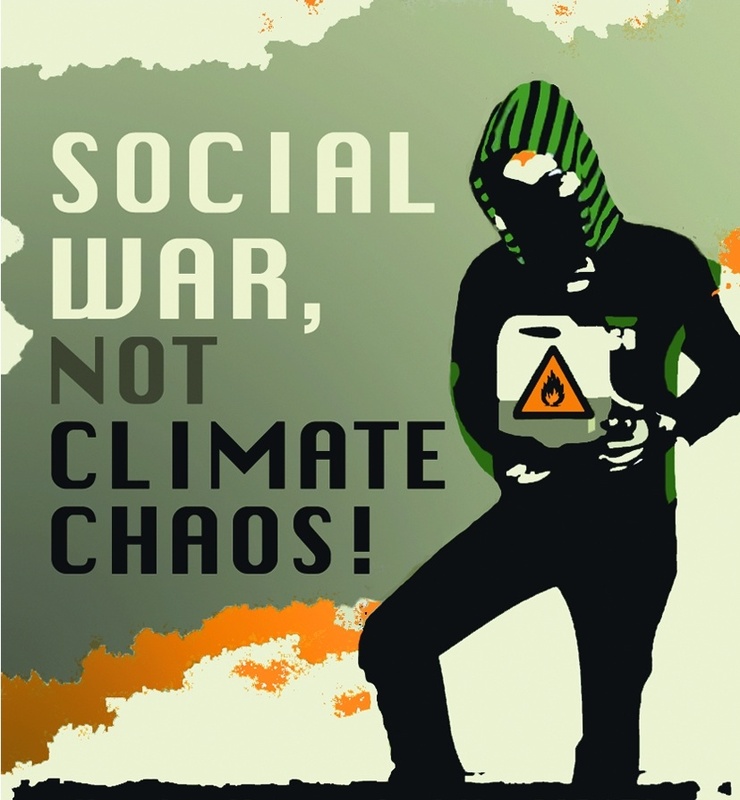 While the COP15 is over, the debate over the role of internal policing and the “non-violence” code of Climate Justice Action has just begun in the European autonomous movements. Amongst thousands of people who want to save the world, we are getting together to march to the Bella Centre, but something feels wrong. The slogans just seem too familiar. “Traditional wisdom and new technology must go hand in hand.” Haven’t we been reading them on the ads all over town?